When searching for the best bike racks for mountain bikers there is a lot to consider. Today’s market has a wide variety of options. To help you navigate these tricky waters, Mtbr has selected six options that have exceptional quality and functionality for carrying modern full suspension mountain bikes. The reason we mention modern and full suspension is that new frame designs don’t always play nice with all the options out there. 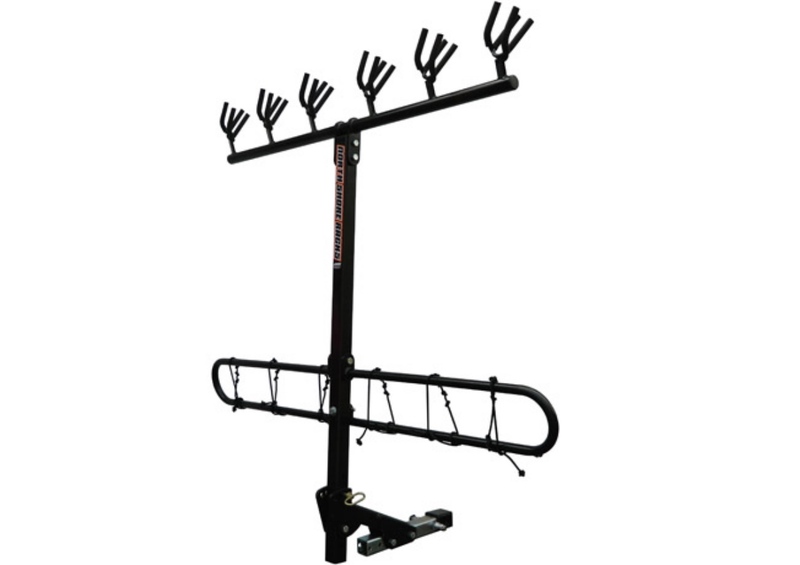 The three main styles of racks are receiver hitch mount platform, receiver hitch mount vertical hang, and rooftop. 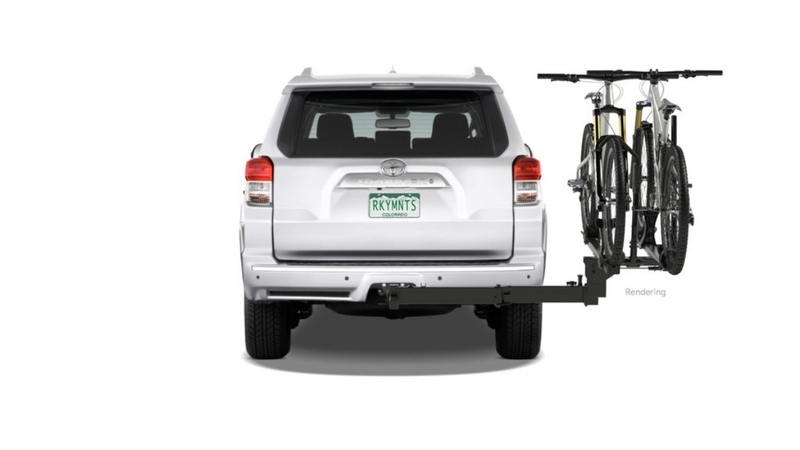 Trunk mount racks and hitch mount horizontal hanging racks are typically incompatible with full suspension mountain bikes and are thus not included here. Mtbr’s first choice for transporting our precious trail slayers are receiver hitch mount racks. This rack style is more aerodynamic, shields bikes from road debris, and typically provides better security options because the bikes are closer to your vehicle’s frame. 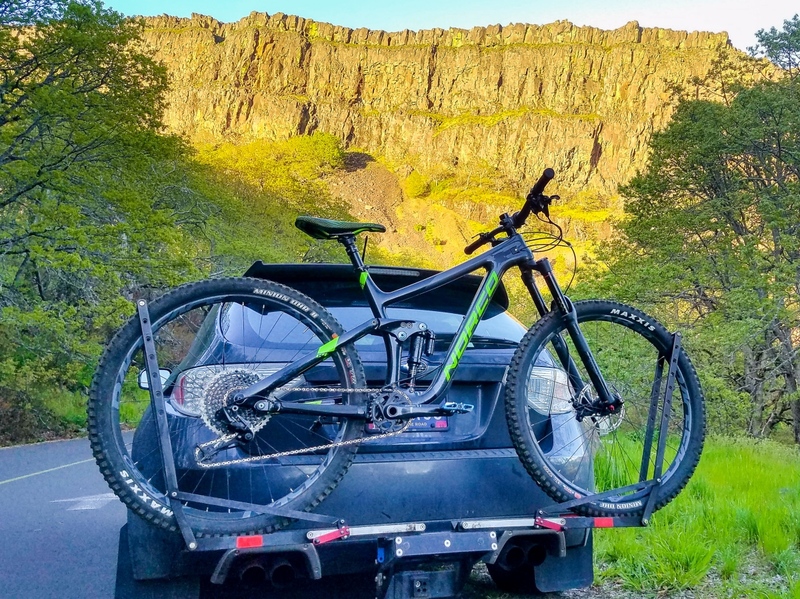 This rack from 1UP USA holds bikes very secure and doesn’t impede ground clearance, which can be a critical consideration when shopping for the best bike racks for mountain bikers. 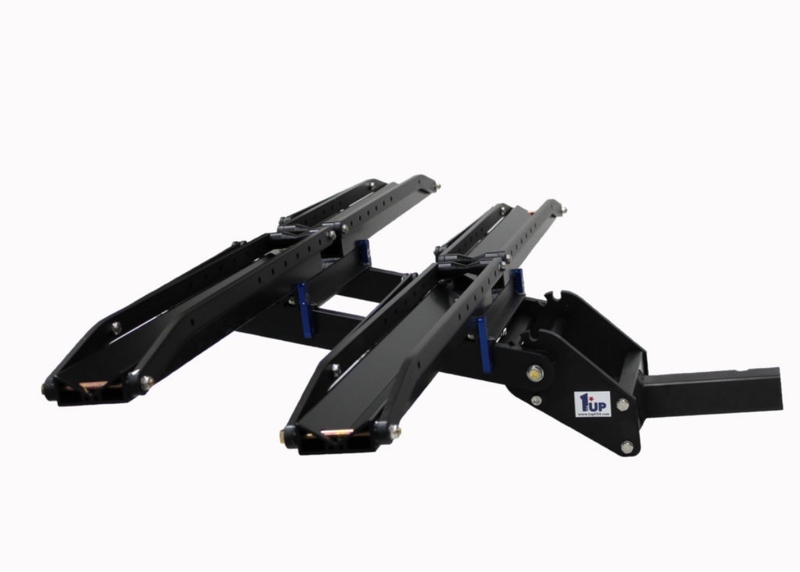 The primary cons of hitch mount racks are that they require a hitch receiver, and bike specific rather than serving a dual-carrying purpose. But if you have the need to regularly haul bikes, those negatives quickly fade away. It then comes down to which style makes the most sense: a horizontal tray or vertical hang? Horizontal tray racks are far more common and are the optimal style for most riders. They support the bike on its own tires, generally, do not touch the frame, and can transport a wide variety of bike types. They also require a lower capacity receiver, so many options exist for cars and small SUVs. However, horizontal tray racks typically have less capacity than vertical hang racks. With vertical hang racks, the type of bikes to be transported is an important consideration. Some styles are incompatible with road bikes and others don’t work with kid bikes. On the upside, this style of rack has a high capacity, usually up to six bikes, and shields them behind the vehicle. However, a robust receiver is required due to the dynamic forces that can overload lower capacity receivers. Thus, Mtbr recommends vertical hang racks for higher capacity receivers (2” Class II+), which generally restricts them to SUVs and trucks. Access to the rear of your vehicle is another key consideration. If a hitch receiver is either not available for your car, or you simply don’t want one, there are also lots of good roof rack options. Indeed, many riders supplement their rear tray rack with a couple roof-top slots for shuttle days. 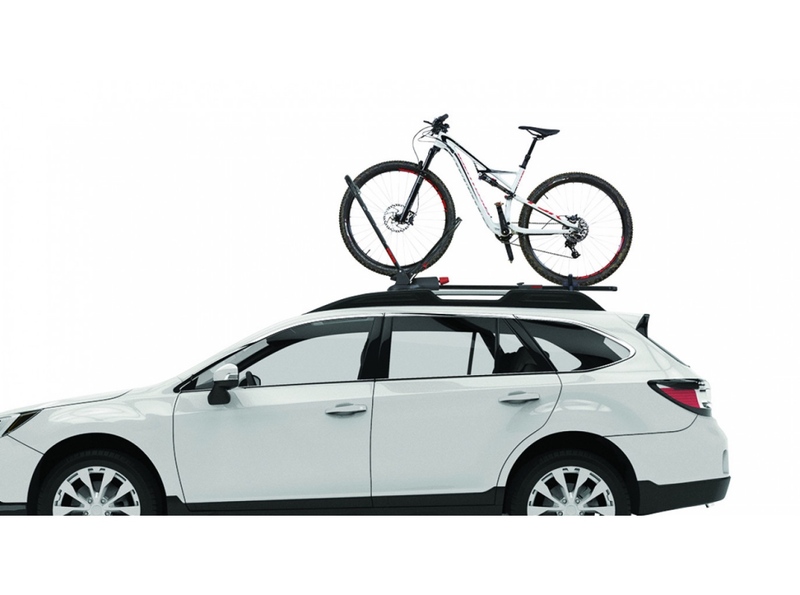 The disadvantage to roof racks include reduced fuel economy, bikes being pelted with road debris, and minimal security attachment points. And of course, they limit car clearance so beware of parking garages or low bridges. 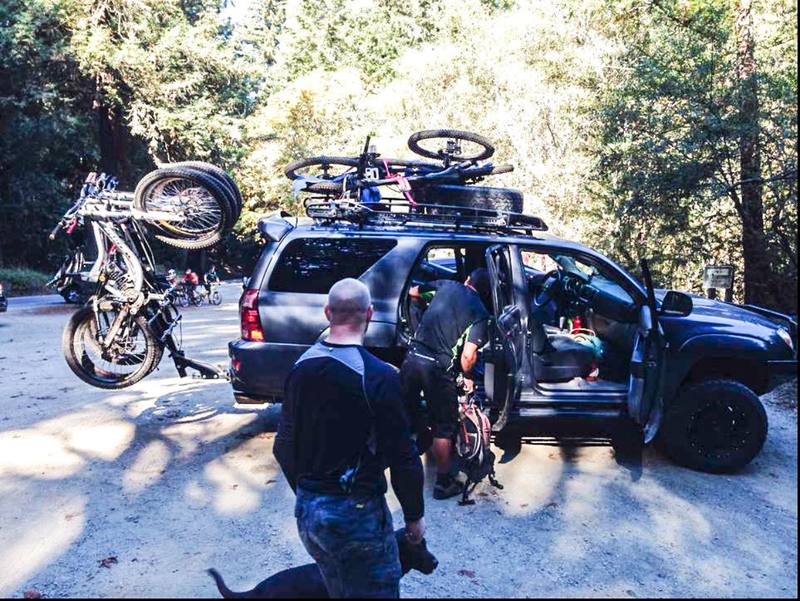 On the up side, roof racks do not require a receiver, support a wide variety of vehicles, and are also customizable for other gear carrying needs. 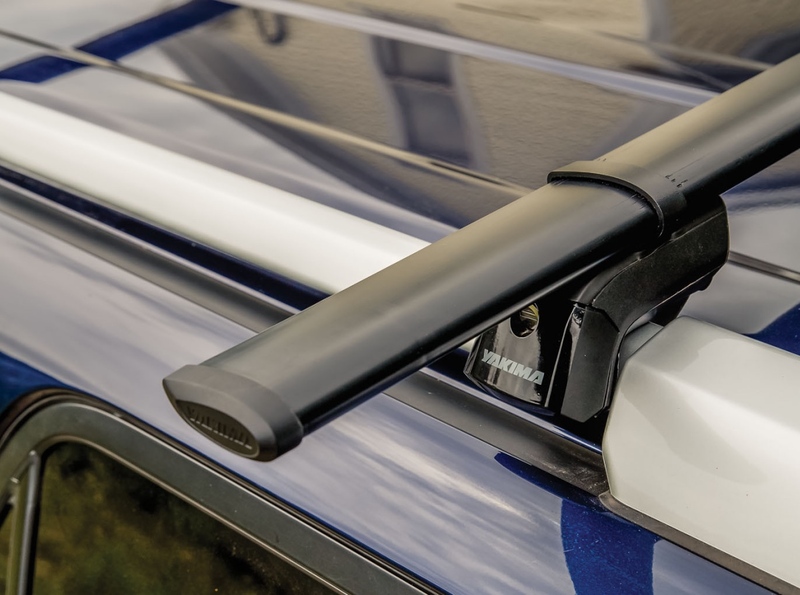 Does your car have a hitch receiver or could you get one installed? If so, what class is the receiver? Does the rack also need to transport gear for multiple sports? What types of bikes need to be transported? 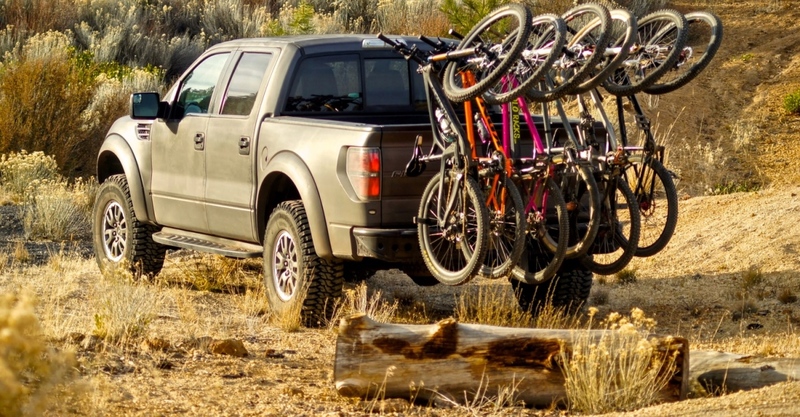 In our opinion, if you have a vehicle with a hitch receiver then hitch style bike racks are the best bike racks for mountain bikers. Of course, there are many hitch tray racks available from major manufacturers such as Yakima and Thule. They typically a similar design with a single tire arm clamp plus trays for both tires and a strap for the rear wheel. 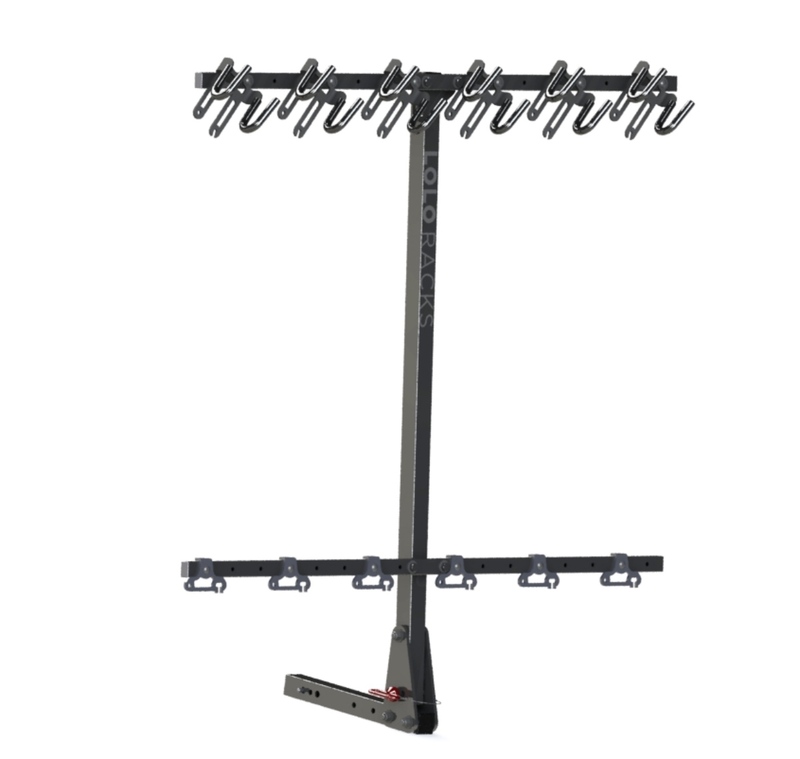 Mtbr’s selections below are more boutique, favoring racks that use more advanced attachment methods, have impressive construction or both. 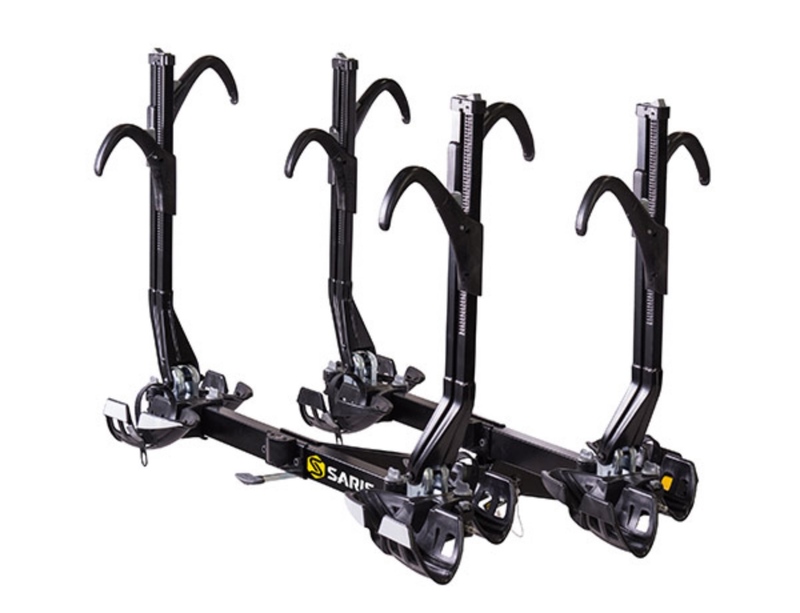 Indeed, we feel that the following racks stand out, as Mtbr has used them all extensively and all get a positive review. The T2 Pro XT is a highly evolved version of a tray mount classic. The Thule T2 Pro is the update we’ve been waiting for to address compatibility with bigger wheel sizes. But not only did capacity get upped, the T2 Pro is now sturdier and easier to operate. The frame has been beefed up significantly, moving parts have been retooled, and even the lever to tilt and fold up the rack has been significantly improved. 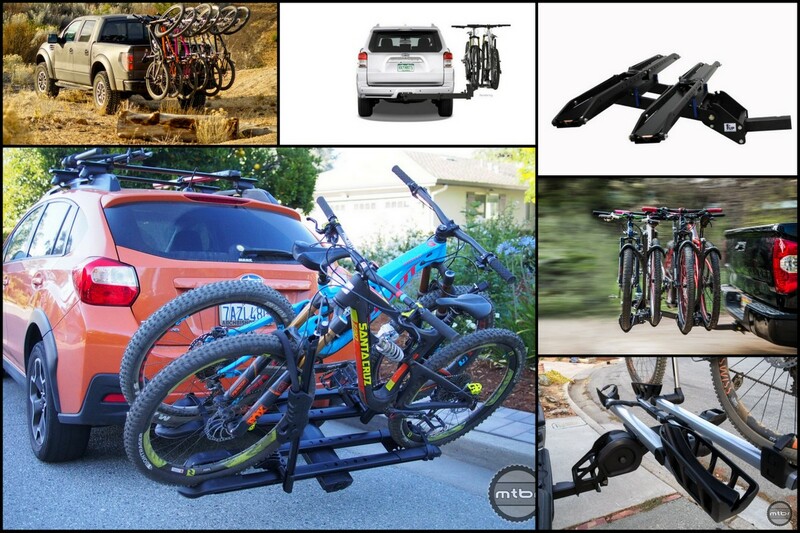 What do you look for in a bike rack and what are your favorite brands and models? Let us know in the comments section below. 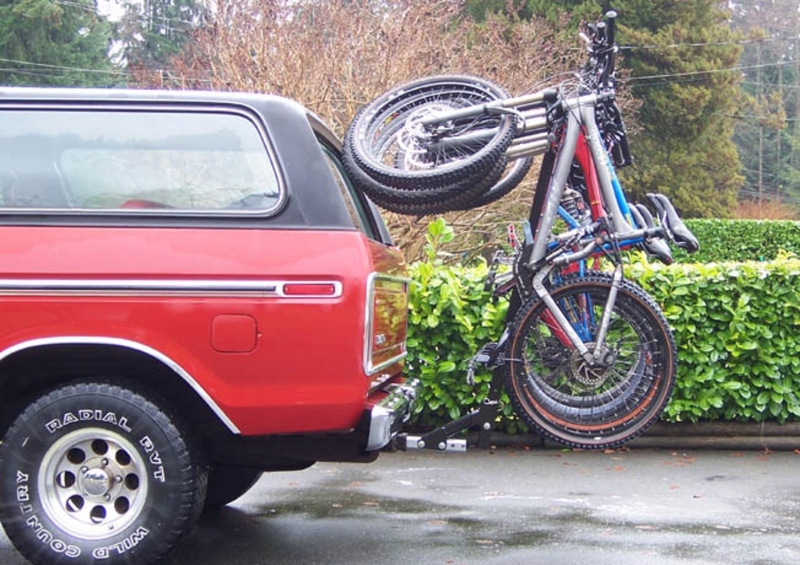 Sometimes the best bike racks for mountain bikers solution is a combination of racks. Access to the rear of your vehicle is a key consideration. Nice to see North Shore Racks reviewed. 1. Who cares? 2. It can be done in a pinch, by facing it backwards and cradling the bar/stem instead of the fork. -Personally not a problem but some will put electrical tape on their fork crown. -Disagree here. You just have to learn how to load it like any other rack. 1. Most find them the quick and secure. They may look ghetto, but they work fine. Simple = better imo. Why does Recon Rack keep missing these “best” bike racks? Because it’s the best?? It’d be nice to see some more roof rack reviews. Some of us prefer roof racks for the for many reasons, including the additional ability to use a roof box in the winter for skis. 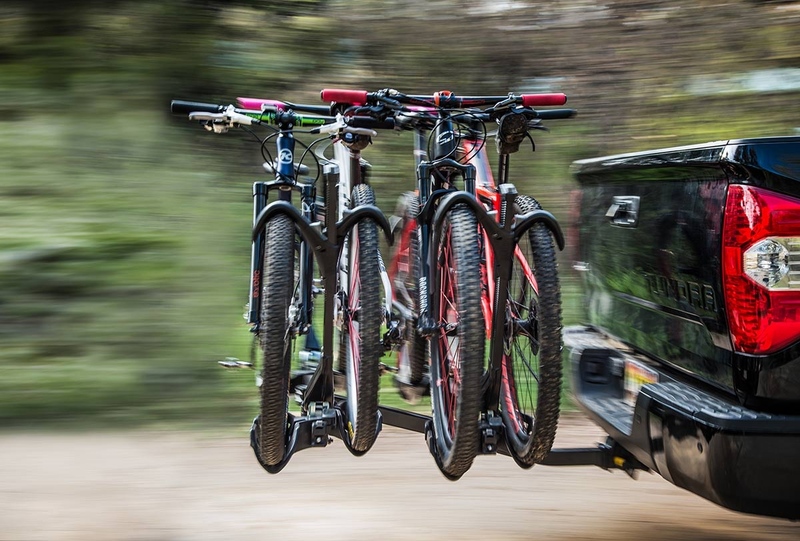 Which of these racks can easily carry 4 extra-large Fatbikes with 5″ wide tires and still carry roadbikes and childrens bikes and not need to do a bunch of adjusting to make it fit? If you have a family, you need a 4 bike rack. Looks like Recon Racks might work for you. I can carry all those on North Shore Rack but if I carry a road bike, it effectively takes up 2 spots. Look up the Yakima Hold-Up Evo. You can get the +2 extension with it to hold up to 4 bikes. It’s a spendy combo, but I love mine so far. Works with 5″ fat bikes, and I think the smallest it can go is 20″ wheels. Road bikes are no issue. Worth a look at. Thule classic will handle both, not sure about a 4 bike rack but I’d think yes. The thule t2 pro does it! Wait, what happened to the tried-and-true Thule T2? That’s been my rack for years w/o any issues. Very robust and many use it. Strange was not included. I don’t wanna be “that guy”m but seriously? Not even a mention of the Kuat hitch rack? My NV is a beast with built-in lock cables, adjustable wheel ramps, sweet color. This feels like a paid advertisement for those companies willing to pay money to MTBR for exposure. I agree. There is no way you miss the Kuat NV 2.0 rack. Fantastic features! I love my Lolo. It it heavy but not expensive when compared to other racks that can carry as many bikes. You can carry road bikes, mtbs, BMXs and kids bikes, no problem. Its been invaluable to my family of five and also been great tool for me as a NICA coach. Love the Lolo! Yakima Frontloader works very well on my roof rack, even with a 26″ 4.5″ tire fat bike. The fat tire will fit between the bars on the front rack “loop”, so it’s pretty secure, but the rear wheel strap isn’t long enough, so I use a nylon cargo strap to secure the rear wheel. A bit of strap-hackery has made this a very secure fatbike transporter. It’s quick to take on and off the car, and is pretty light. Question for the author of this article: Why were Kuat hitch racks not mentioned in this article? 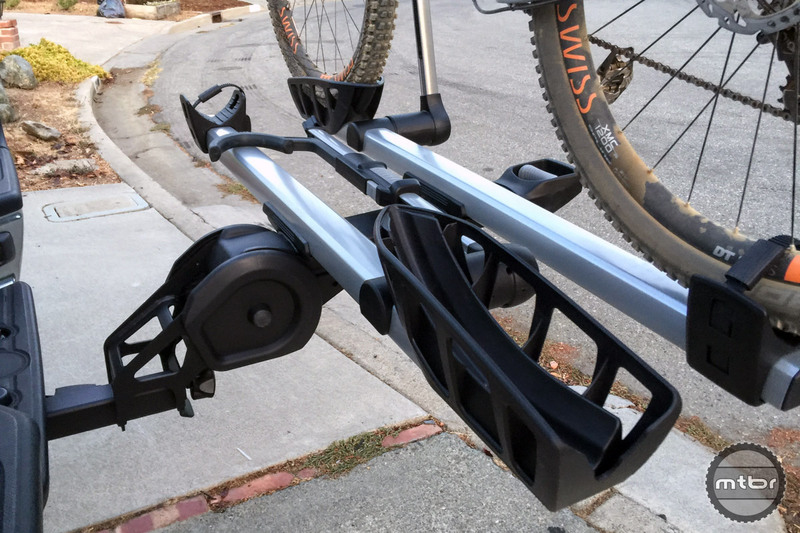 As an owner of numerous bike rack brands over the years, I completely agree with the other comments/complaints about no mention of Kuat hitch racks. My Kuat rack is sturdy, easy to use and cool looking. Not really much else you could ask for in a rack….and I am not getting paid to give my review. 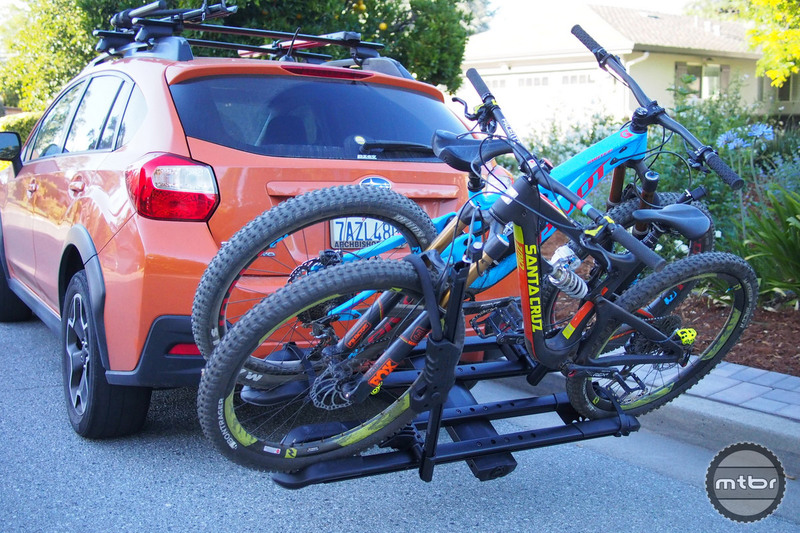 Thule’s recently released Easy Fold is a great update to platform hitch racks. Just got one and love it!